Nurturing the tender years: Our first day of first grade! Our first day of first grade! Our circle time usually goes something like this – we each say a prayer and then all sing the one we are currently learning together, then we sing our calendar song (I modified this one a little, it no longer involves ice-cream, but is rather about loving each other all the days of the week/months of the year, we also sped it up a bit), at the beginning of the week we add the dates and activities onto the calendar for that week. After the calendar song we sing the “every week” song and Rylan and Damian stick the days of the week onto the laminated charts at the bottom of the picture (they come on and off with the use of velcro dots). The charts and song can be found at 1+1+1=1. Then we move onto skip counting. 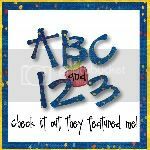 Those charts can be found at Homeschool Creations. To finish off circle time we have the daily installment of our virtue lessons (you can see the current Virtue Project card up in the top right corner). This week we are studying “caring”. As the year goes on we will add different things to calendar time as needed (the rest of our 2010-2011 curriculum can be found in this post). Here is the other side of our school space. Map (animals of the world) from Costco, animal evolution time line beneath it from Zoobooks (the dino chart over the map is also from Zoobooks), the two little charts next to the timeline are a Handwriting Without Tears guide to writing capital and lowercase letters and numbers and a copy from Drawing With Children on the elements of drawing. There are our workboxes which I bought at Walmart, with an abacus (cannot remember the brand) and our Oregon Scientific Smart Globe. The bookshelf next to the workboxes contains all our supplies, books, additional materials, schedules, etc. Oh! And the table and chairs are from IKEA. Although we have this space, we still do our learning in other areas of the house as well. All depends on what we are doing and where we feel like working. We ended our first day back to school (after swimming lessons, and dinner) with a yummy spice cake which we made using another of my Grandma’s recipes. The boys went to sleep with happy hearts and happy bellies, and I have to say, despite my total enjoyment of our unplanned summer break, I am loving being back into our routine again! I love your circle time area! I bet the kids just love that! Yes, we have lots of fun with circle time! Yes, I love color, it brightens our days and inspires creativity!